Are you ready for some serious Teddy Bear cuteness? Oh my do I have some cute things to share today. 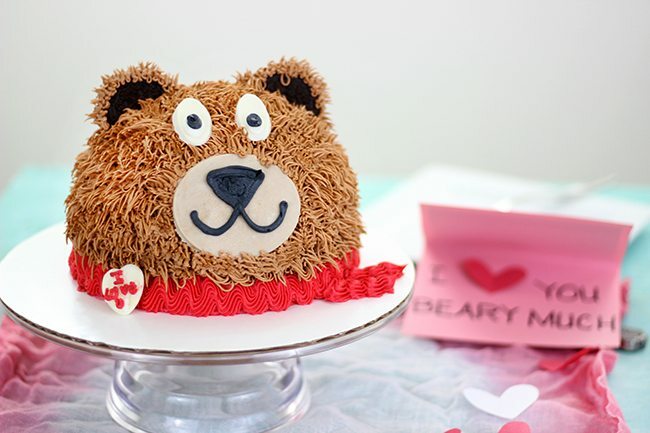 Give someone a “Beary Special” Valentine’s Day will these easy ideas. 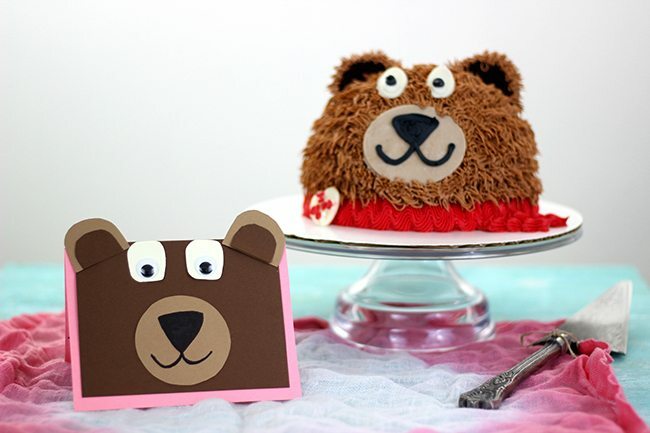 The magic all starts with one of the most adorable cakes I’ve ever seen. 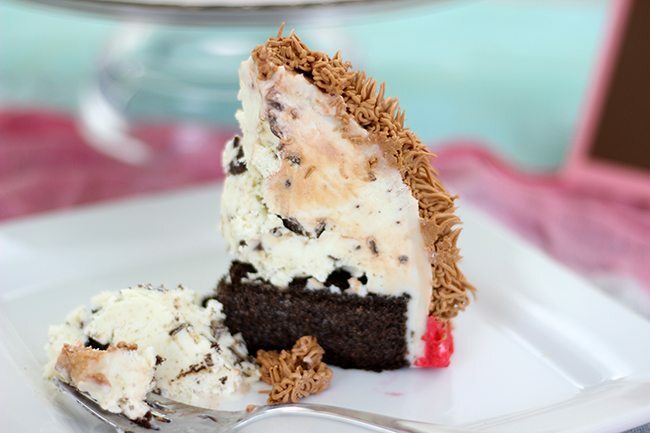 *swoon* This is a sponsored about Baskin-Robbins’ ice cream cakes post all opinions are mine. 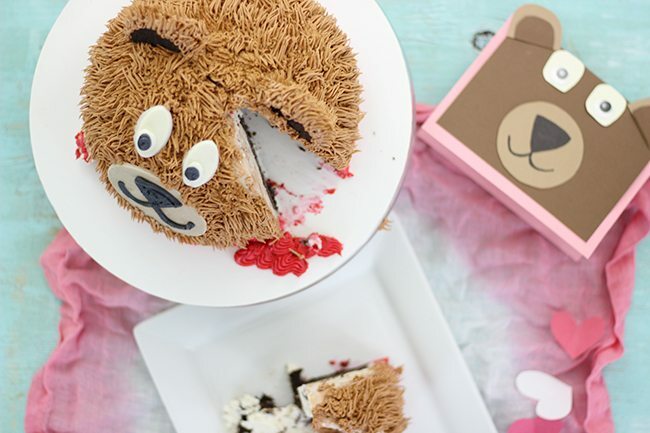 To make it an all around Teddy Bear party, this Baskin-Robbins ice cream cake can be ordered right online for pick up. Quick & seamless. Your cake will be ready in 24 hours! I just love that you can choose between chocolate and vanilla cake and your own ice cream flavor too. They have 16 scrumptious sounding ice cream flavors to choose from. I chose chocolate cake along with Reese’s® Peanut Butter Cup ice cream. I pretty much nailed it. 😉 This was my first time trying one of their cakes and fell in love instantly. I thought it would be ultra cute to make a handmade card to go along with the cake & seal the deal. 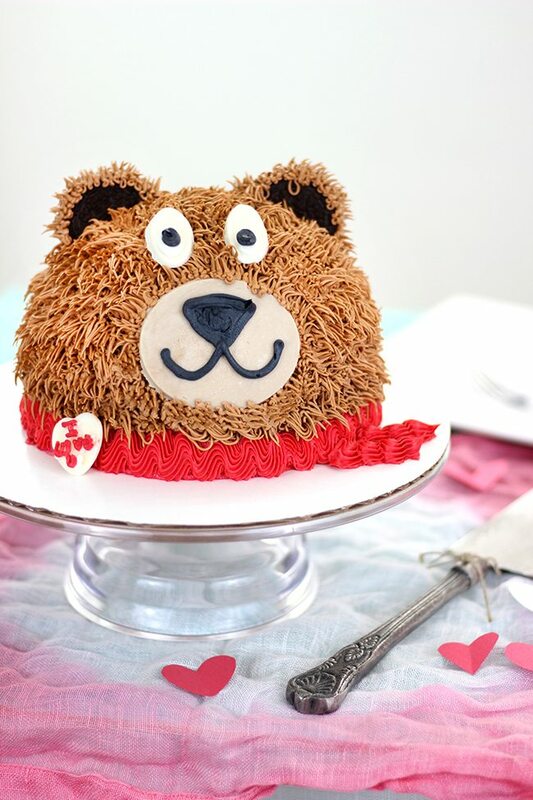 Between this cake and homemade card, you can have yourselves a sweet Valentine’s Day presentation from the kids or for the kids. To make a card, I just used construction paper and card stock. You can use either. The card stock is a little thicker so it will have more a a real card feel, but either will work for sure. 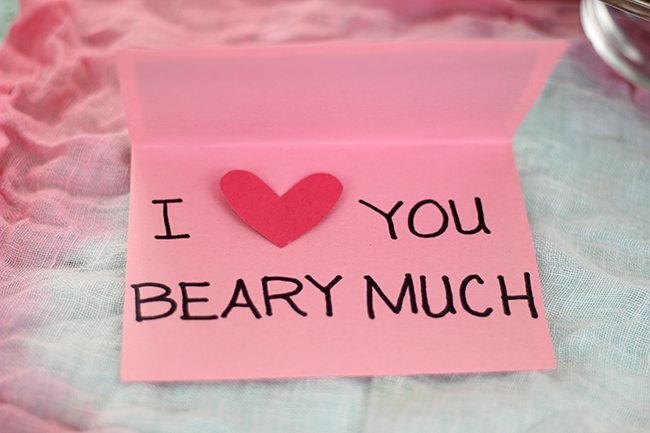 It wouldn’t be complete without an “I love you Beary Much” inside. What do you think? I used a small cup to trace a circle for the nose and somewhat free handed the eyes and ears. I used sticker googly eyes and a marker to draw on the nose & mouth. It doesn’t get much easier than that! I used the actual cake to help guide my measurements. Now back to that cake. Between the real chocolate cake layer, ice cream and frosting, it was instant love for us. The only question now is which flavor will I try for my next cake? Very Berry Strawberry ice cream and vanilla cake sound pretty good right now. Yum. Perfect Valentine’s Day flavors indeed. 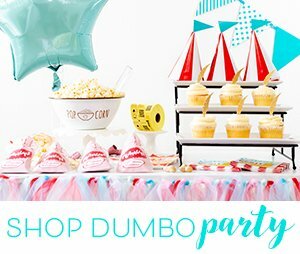 Make sure to order your cake online now. You can select your own pick up date and it can be ready as soon as 24 hours after you order. Sweet. 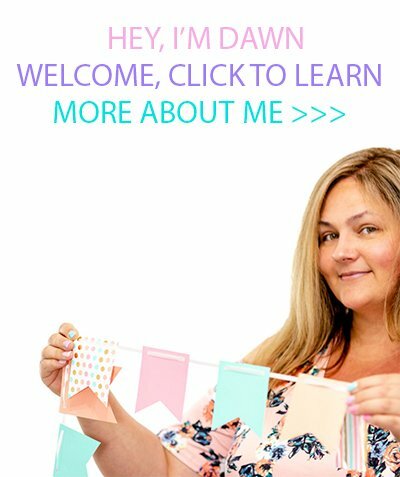 You can also choose to add on extras like birthday candles, to make their get together or celebration even more special. So… which Baskin-Robbins’ ice cream flavor would you want to try in your cake first? I just ordered one, thanks!